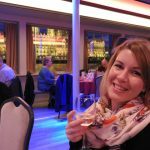 All aboard the Budapest booze & party cruises on the river Danube: we have afternoon Budapest booze cruise ships and late night boat party river cruises on the Danube boats. The prices are low, the mood is high! If you are looking for some fun hours to enjoy in Budapest, check out what we have on offer. Budapest Booze Cruises! 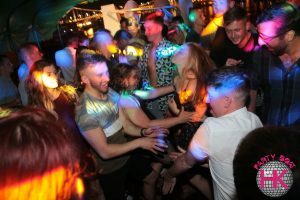 Party & Cruise Late Night Boat Tours in Budapest – the party boat called Party on the Danube is an absolute must do for fun loving people. The cruise does not run all year round, only in the fairer months, when the weather is more amenable (May, June, July, August, September, October). 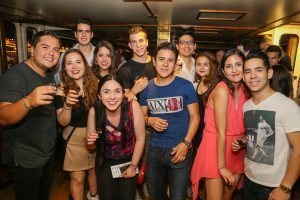 Groups of 20 or more can contact us for a group discount cruise fee for the Party Cruise. Set Dates: every Friday & Saturday from May 3 till October 25, 2019! And an extra special Halloween-themed party on October 27. 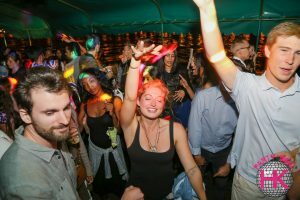 The Danube boat ride starts at 11 pm and is full of fun, dancing, drinking, partying. When the 90 minute cruise is over, we will take you to a hip and cool club in Budapest, the Morrisons 2 Club in Budapest where you can skip the line for FREE with your special party voucher, an added bonus in a cool place. Warm up for the night with us from 11 pm to 0:30 pm on the river Danube to get the most out of Budapest Nightlife! Did we mention the Insane Drink Package? 10% discount of the fair bar prices to make the drinks even cheaper. You can share the drink package for more people if you do not want to gobble up all the alcohol you can buy for €20! Cocktail and Beer Boat Tours on the river Danube in Budapest: it is afternoon, the weather is less warm, the river and its attractions alongside the riverbanks of Buda and Pest, the two towns of Budapest are preparing for the sunset and the night lights. Who wouldn’t want to relax with some nice drinks while enjoying the city views? Come and have fun on the modest booze cruise boat tour we offer! Dates in 2019: every Friday & Saturday from May 3 to October 25, 2019. Plus we can offer 1 gratis ticket for every batch of 10 tickets, if you pre-purchase the program as a group (in case of individual bookings, unfortunately we cannot offer the gratis ticket). 1 Gratis after every 10 tickets pre-purchased (in the same category as the rest of the tickets). NOTE: there is no box in the form for indicating gratis. Don’t worry, you can go ahead and book 1 ticket less than needed (for 16 people 15 tickets, for 14 people 13 tickets, etc. ), and we’ll add the free ticket after the booking has been placed by overwriting the automatically generated e-ticket. The best way to book is via the online booking form on the above links to each program. Where to see the pictures? we will soon contact you via email. Thank you for your patience.